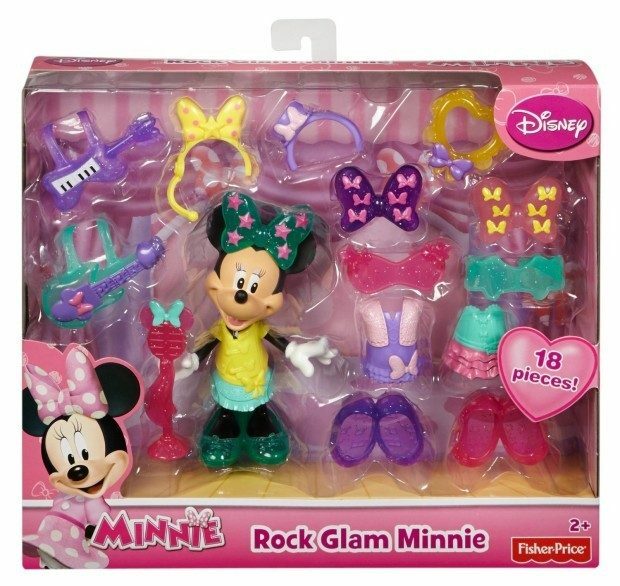 Head over to Amazon and get the Fisher-Price Disney’s Minnie Mouse Rock Glam Minnie for just $9.00 (reg. $19.97). Shipping will be FREE with Amazon Prime or an order of $35 or more. Comes with 3 easy snap-on dresses, 3 bows, 3 pairs of shoes, 2 pairs of sunglasses, guitar, keyboard-guitar, microphone, headset, tambourine and headband -18 play pieces in all! Great for at home play or on the go!